With a user with admin right log into the Salesforce instance. Check the email of the user. The result of the installation if failed or success will send to the mail address associated with the user. In this example, the installation result will send to the mail address lyna.phu@apsara-consulting.com. Now just copy the URL into the browser address bar. Enter the URL then you will get this screen. You can also install for the specific profile like shown in the following screen. For this option, of course, the admin have unrestricted access to the SKYVVA software. In this example, the only user with the profile Standard User and Standard Platform User has access to SKYVVA. After a few minutes, e.g. 3 minutes you get this screen. Now please check your email to see the status of the installation. Here is the mail you will get after around 3 minutes. After getting this mail, click on the button “Done” to close the installation process. Now you have installed the SKYVVA app. 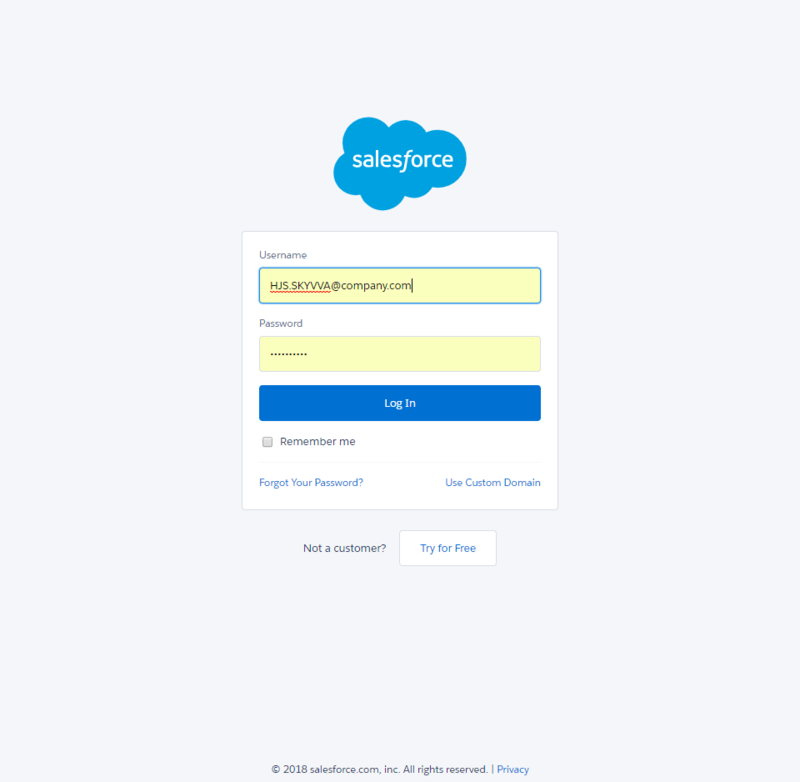 You can now access to SKYVVA App by log into Salesforce. 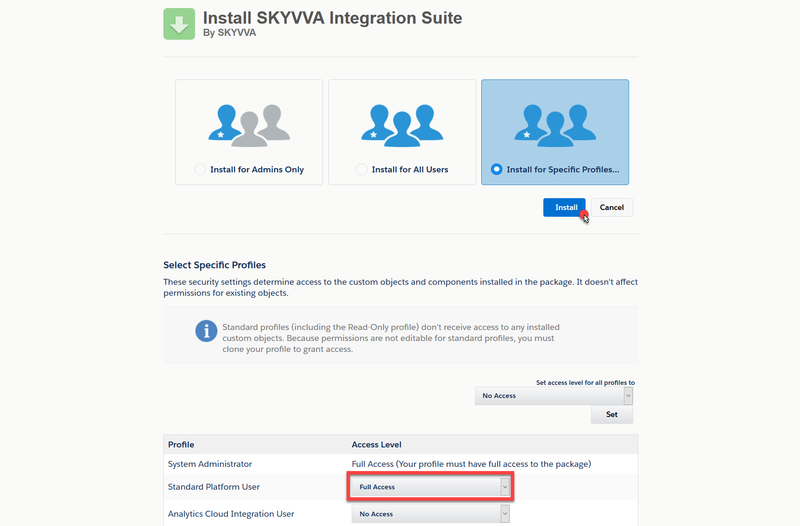 Select App Launcher then click on SKYVVA Integration Cloud app. And you will get this pop-up screen. This screen shows that you got no access to use SKYVVA Lightning Components. Note: To be able to use Lightning Components of SKYVVA Integration App Cloud you have to enable My Domain setup. You can resolve this case by navigating to My Domain which available in Setup. 1. Choose Your Domain Name: Enter a domain name and check whether it’s available. Be sure of your name before registering since you can’t edit your My Domain once you register it. 2. Domain Registration Pending: When the registering is done and ready for testing you will get an email. 3. Domain Ready for Testing: You can log in to test your domain. Please Click on login button. After you click on the Log in button, the pop-up screen will appear and just click on the Open button. When you clicked it, the new tab will open because Salesforce will switch back to the classic version. Then you have to click Deploy to Users button to activate the new Domain. 4. Domain Deployed to Users: This is the last step to enable your My domain. After Deployed you can now switch to Lightning by clicking on the “Switch to Lightning Experience” link at the top of Salesforce Page. 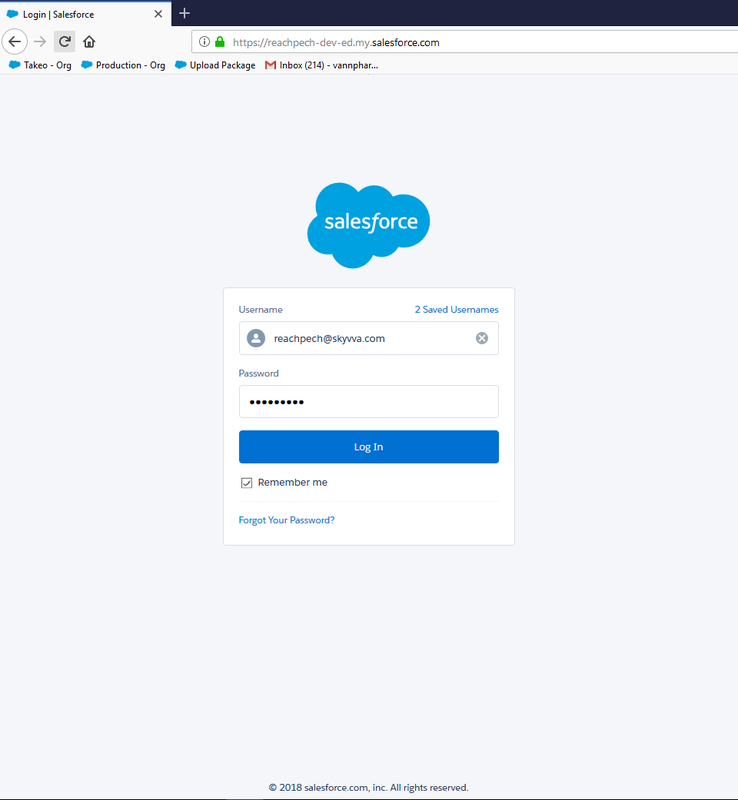 You are land in Homepage of Salesforce in Lightning mode. Click on App Launcher then select SKYVVA Integration Cloud App. Note: If you have problem display some objects of Integration, please creates permission set and choose license as Salesforce.